When I was a small child (nearly 30 years ago), we went to Kashmir on vacation and we saw a lot of wonderful and the thing that is still with me is a set of 6 chairs and 3 tables. 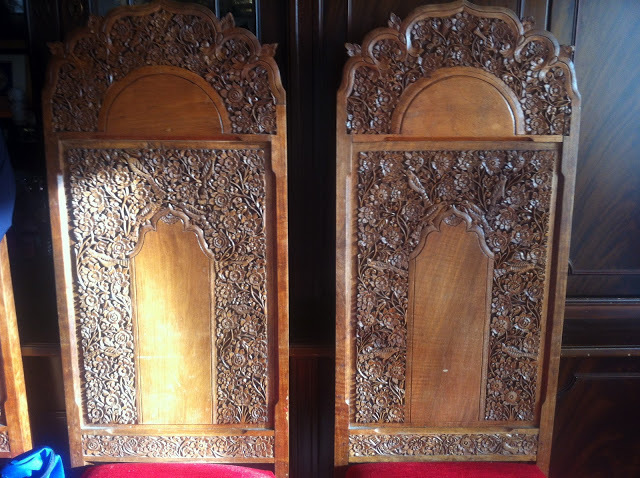 The unique thing about them is that they were all handcrafted in wood and that made that the back rests of none of the chairs has the same carving: every backrest is different even front and back! In this day and age nobody would even bother going through so much labour! This makes them so special as opposed to the homogeneously designed chairs you get now. Imagine the magnificent dresses of Iris Van Herpen with complex build structures. Now imagine a dress where the elements would change size and shape based on the shape and build of the person who will wear them… This could be parametrised into the 3d model… So create once and make many different. And all that with a spinge of randomness so that every dress looks slightly different regardless of the build as well.